Alternative Country-Folky,Lyric Driven, with a touch of Western and Swing.Beautiful vocals. Berné hails from Spartanburg,S.C. She began performing, singing and playing guitar in local haunts in Spartanburg at the age of 14, and was inspired by such local talents as David Ball, Walter Hyatt and Champ Hood. Since graduating from The College of Charleston with a BA in voice, she has made her home in Atlanta. Ella Fitzgerald and Billie Holiday inspired her, and she was invited to join The EZ Credit Orchestra, a noted Atlanta ensemble, which specialized in 30s and 40s jazz. She occasionally sings jazz with some of the Southeast's top musicians. Berné has been singing and playing guitar at The South of France Restaurant, in Atlanta, for several years. In her solo career, she has shared the stage with such legends as Odetta, Dave Van Ronk, Jimmie Dale Gilmore, Tom Rush, Billy Joe Shaver, Tom Russell and Chris Smithers. Berné's alter ego is the lovable and laughable "Frenchy" in the longstanding Atlanta band Cowboy Envy. Along with her saddle pals Dede Vogt (co-producer of Berné's CD, Language of Dreams), Kathleen Hatfield, and Rodger French, she gets to sing, dress up, crack her whip and generally ham it up. The band has played at The Kennedy Center, The Spoletto Festival in Charleston, S.C., Music Fest in PA., Music Midtown Festival, The Variety Playhouse, The University of Georgia, Duke University, The Fox Theater in St. Louis, The Starlight Amphitheater in Kansas City, The Georgia Music Hall of Fame and toured with The Indigo Girls. They have also opened for such artists as Shelby Lynne, Ricochet and Sweethearts of the Rodeo. Cowboy Envy won Best Harmony Band at The Western Music Festival for 2 years in a row. They also won a "best of" in Atlanta Magazine twice and in Creative Loafing's "best of" twice. Berné also writes for Cowboy Envy. Her song,"Born To Be Branded", is written from the cow's point of view and "I Left His Heart in San Francisco " is the world's only cowboy tribute to Tony Bennett. Brilliant songwriting, voice of an angel! I listened to Berne' live quite often late last century and she was amazing then; her songs and beautiful voice blew me away and I wondered why the whole World hadn't heard her. Well World, here's your chance! 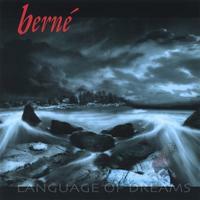 Language of Dreams includes songs I loved back then: Dixie Moon, Looks Like My Childhood's Being Sold, Confirming Your Suspicions, etc... and some new favorites (pretty much the rest of the CD). And Berne's voice is nothing short of stunning! She sings even more beautifully now than when I first heard her. I am astounded... and very, very pleased.